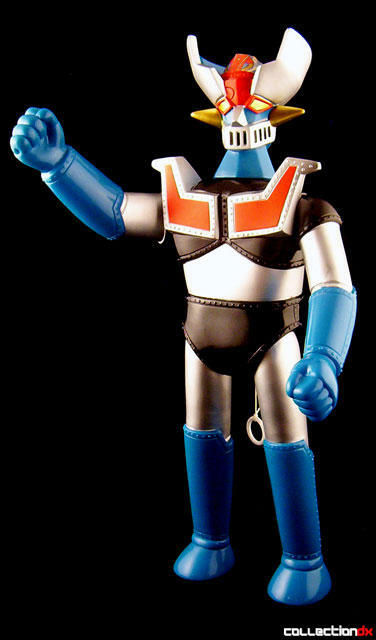 Make no mistake, from a worldwide standpoint there are some pretty unbelievably horrendous portrayals of Mazinger Z. But within Japan, even the cartoonish looking toys have a charm to them that makes them appeal to the eye. 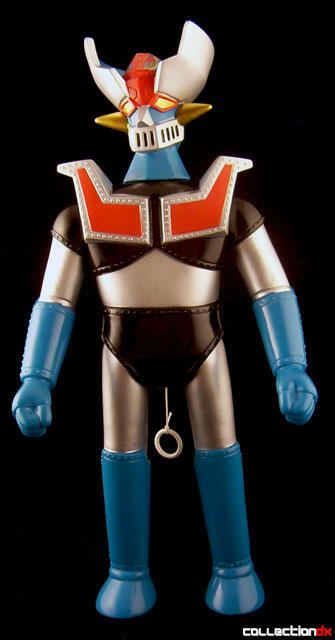 But when I look at this one, I almost feel like someone was making fun of Mazinger Z. The over-sized cavity in the head looks just too far out of proportion to my tastes, almost like in inverted dunce-cap. And the legs are too skinny where they connect to the pelvis. It looks like he's got a diaper on. 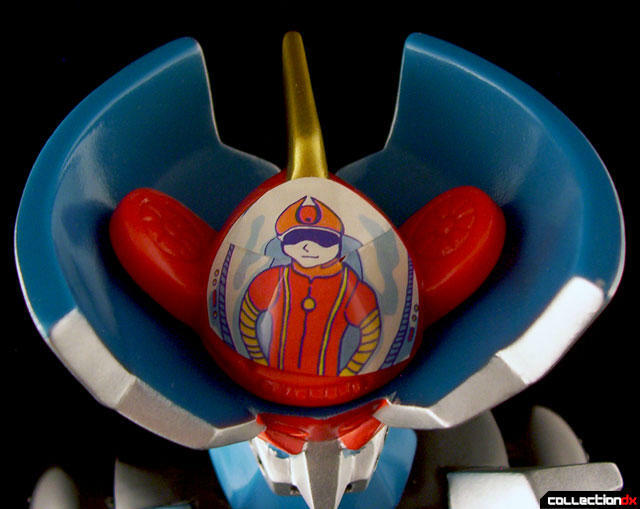 Also, the depiction of Koji Kabuto in the cockpit of the Hover Pilder is done by way of a silly looking sticker. The only other toys that I know of that do that are the bootleg Jumbos from Italy and Argentina. Now I admit, I do love those toys for what they are, but it just seems like bad company for a major Japanese toy maker to keep. With that said, like most toys it looks ok when you add it to a lineup of others from it's series. And I got a good deal on it, so I can't complain too much. The toy stands about 14.5 inches tall with 5 points of articulation (neck, shoulders, and hips). You pull a string to make it talk, but I have no idea what it says.